Viewer Access Satellite Television (VAST) is a service that now provides a free-to-air high definition television service to those that may have previously struggled to get it, which may include areas of Brisbane. For those who were in remote areas previously reliant on the Aurora analogue service, or simply suffered bad TV reception due to local interference, terrain or distance from the transmitter in Brisbane, you will now be able to receive free-to-air TV. Essentially, VAST allows you to receive the full range of digital free-to-air TV services no matter where you live – including Brisbane. You will have access to the same number of channels as are available to those living in the main cities. 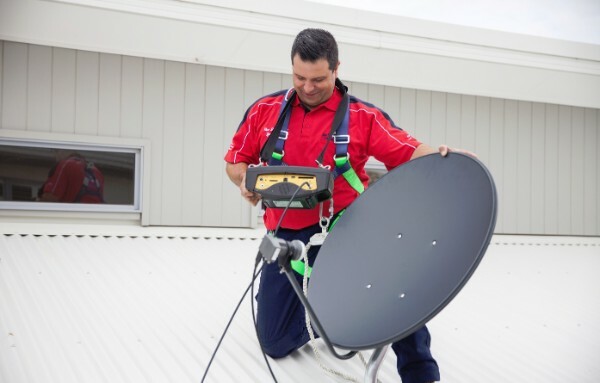 Supply and install a quality TV Satellite Dish for you in Brisbane, if you don’t already have one. [Our Warranty is second to none]. To ensure you get all your favourite TV programs – in Brisbane and surrounding areas – call us on 131 546 to see how we can help you get the most out of your television reception. 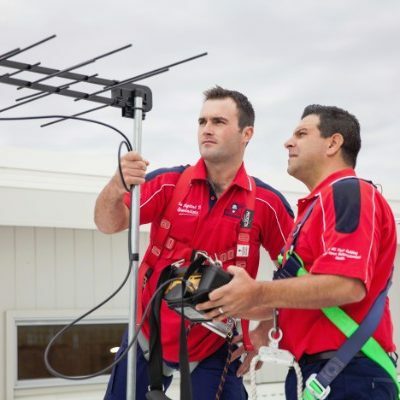 Our Brisbane Satellite TV installers are all Professional, Expertly Trained technicians. Combined with our years of industry leading experience, quality product selection and warranty, we ensure we get the job done right – every time. Great friendly operator..,Ian.., Efficient & knowledgeable & polite! !